Protect and extend the look and life of your pavers with our Paver Cleaning & Sealing service. We remove dirt, grime, oil stains, rust, etc. from the surface of the pavers allowing the natural color of the stones to shine. Take a look at our Paver Cleaning & Sealing Gallery to see before & after photos of recent pave stone cleaning and sealing projects. Interlocking pavers are always a beautiful enhancement to a property. In order to keep them looking beautiful, they must be maintained. Treidgen has raised the bar when it comes to cleaning and maintaining interlocking pavers. We specialize in removing dirt, grime, oil stains, rust, efflorescence, etc. from the surface of the pavers allowing the natural color of the stones to be visible once again. 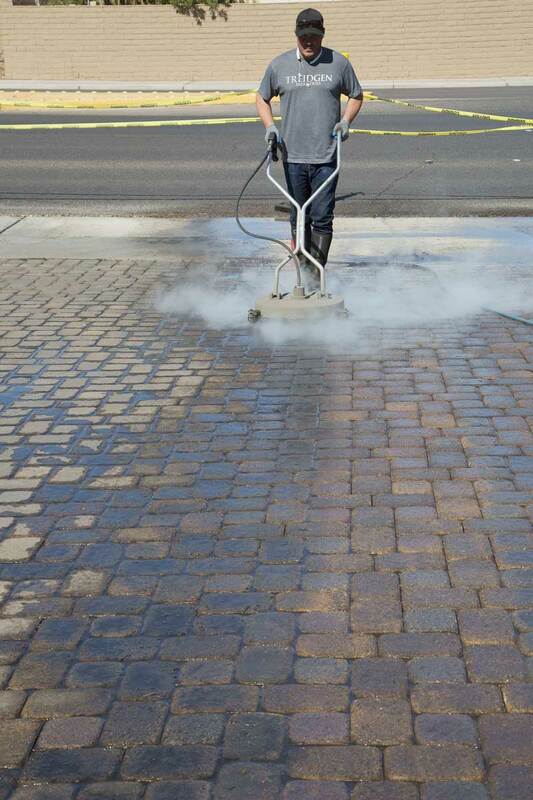 All pavers cleanings are performed using high powered pressure washers and turbo scrubbers along with commercial grade soaps and degreasers to lift heavy stains from the pavers porous surface. Once the cleaning has been completed, our technicians re-sand the paver joints per ICPI standards to the stability and life of the paving stones. Sealants offer a beautiful enhancement and a layer of protection to your existing interlocking pavers. 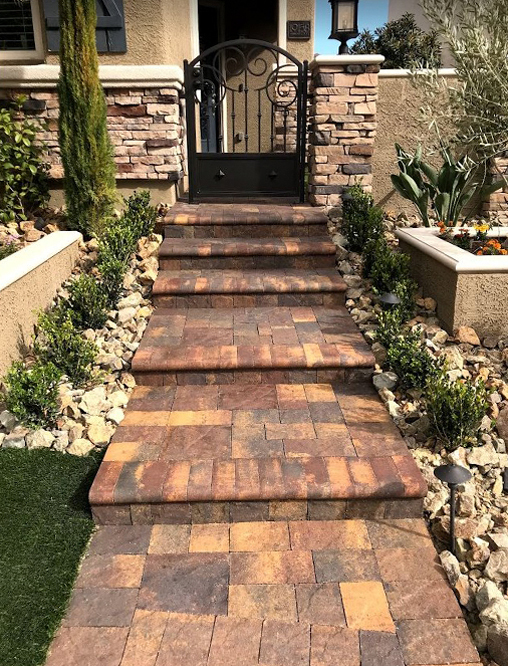 Once interlocking paver stones are sealed, they can keep that brilliant and vibrant natural color all year round. Imagine how colorful a river rock is when it is wet, then how dull it seems once it has dried again. Our sealer also acts as an added layer of protection from sun exposure, dirt, and grime that can leave pavers looking dingy after time. Treidgen uses only top of the line commercial grade sealants that do not turn white or flake over time. Protect the enhancement to your property and have a Treidgen professional clean and seal your pavers.